In a world hyper-focused on appearance, it can be frustrating to have cellulite. Skin takes on the look of an orange peel and the condition is hard to get rid of. Regular exercise and eating a healthy diet can help prevent new dimples from forming. But how do you get rid of the cellulite you already have? The answer unfortunately isn't straightforward. There are many things you can do to improve the appearance of skin, but you'll need to be dedicated and patient. Cellulite isn't a serious health condition, but it can affect self-confidence. Essential oils can help to minimize the pitted look of skin while boosting mood with fragrant aromas. It's helpful to understand what causes the appearance of cellulite in order to see how essential oils can improve the condition. Cellulite is a condition that causes the skin to look dimpled and lumpy—similar to cottage cheese. The most commonly affected areas are the thighs and buttocks. Women develop cellulite at higher rates than men, but men can also suffer from this skin condition. Cellulite is caused when fat deposits seep through the connective tissue underneath the outer layer of skin. Cellulite is one of the most commonly reported skin conditions along with stretch marks. Experts estimate between 80 to 90% of women will experience cellulite at some stage in life. Dermatologists diagnose cellulite in three grades ranging from mild to severe. Experts are unsure what causes cellulite, but there are several factors that may contribute to it. Bad circulation, changes in hormone levels, dietary choices, and genetic factors all contribute to the emergence of cellulite. There are many treatments for cellulite ranging from simple creams to expensive laser therapy. Most of the simple treatments have short-term effects and need to be applied daily. Often times, these creams can cause negative side effects such as racing heart and severe dry skin. Luckily, essential oils have shown promise in treating the appearance and underlying contributors of cellulite. These natural remedies have few side effects when used properly and can have your skin looking its best without expensive price tags. Grapefruit oil is one of the main ingredients in cellulite creams and it is a staple of alternative medicine. This oil boasts diuretic properties that help to eliminate toxins and excess fat accumulation in the skin. This helps to prevent the development of new cellulite. Grapefruit oil triggers the release of enzymes, which signal the liver to break down fats. Grapefruit oil also boasts astringent properties. It works to constrict blood vessels underneath the skin, lessening the bumpy appearance of cellulite. The scent of grapefruit oil is also uplifting and inspiring. The uplifting fragrance helps to trigger chemical reactions in the brain that release happy hormones such as dopamine. This mood-boosting oil can help target the feelings of sadness and frustration that come with skin conditions. Grapefruit essential oil has also been shown to suppress appetite and decrease water retention. Excessive consumption of junk food, especially carbohydrates, has been linked to increased development of cellulite. Inhaling the fragrance of grapefruit oil can help control these cravings and keep cellulite at bay. Combine 5 drops of grapefruits seed oil with 3 drops of olive oil or coconut oil. Apply to affected areas and massage in a circular motion. Repeat once or twice per day for several months for the best results. If you think your cellulite is the result of an unhealthy diet, add grapefruit oil to a diffuser to prevent overeating. Simply add 3 drops to the diffuser between meals or anytime you feel the urge to eat when stressed out or when you're not actually hungry. Carrot seed oil is one of the lesser-known essential oils, but is highly effective in promoting healthy skin. The oil is derived through a process of steam distillation from the dried seeds of carrot plants. Carrot oil is rich in vitamins A, B, C, and D and boasts skin regenerative properties. Carrot seed oil has natural SPF, helping to protect skin from harmful sun rays. Carrot seed oil contains high concentrations of antioxidants that help to promote the production of collagen. Collagen is a protein that is responsible for the structure of cells in connective tissue. 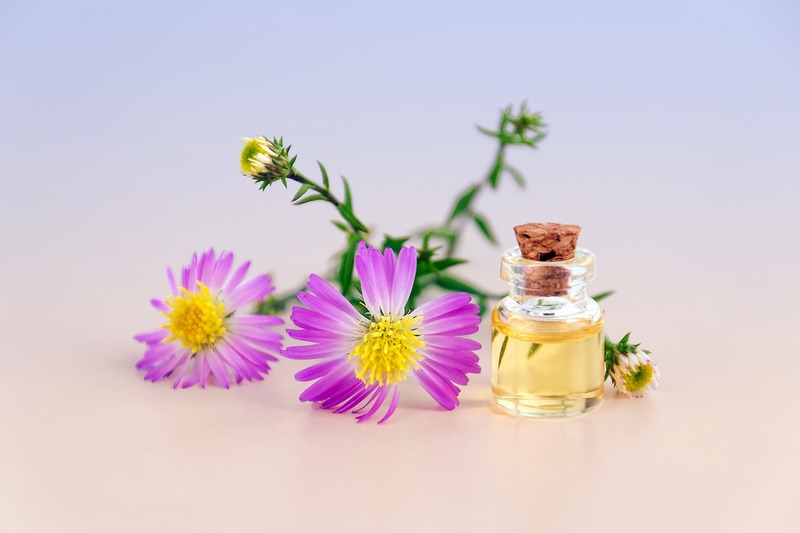 Since cellulite is the result of a breakdown in connective tissues, carrot seed oil could help regenerate cells and lead to smoother skin. Carrot seed oil also contains carotol, which has been linked to reducing skin disorders by improving elasticity and regenerating skin cells. Combine 8 drops of carrot seed oil with 7 drops of neroli oil. Mix well with carrier oil such as rosehip essential oil. Cleanse skin and apply the oil in a circular massaging motion for 10 minutes. Leave on overnight to maximize results. Apply once or twice per day. Juniper oil is one of the most powerful essential oils for skin. Juniper essential oil is a common ingredient in anti-cellulite bath oils. It is also a potent option for reducing acne without prescription medications. This oil is also used in traditional medicine to treat other skin conditions such as psoriasis, eczema, and dermatitis. The main compound in juniper berry oil is the monoterpene known as alpha-pinene. A-pinene is what gives juniper berry oil its piney and fresh fragrance. This compound is also responsible for many of the juniper oil skin benefits. A-pinene has been shown to even out skin tone and rejuvenate skin. When used to treat cellulite, this oil may promote the rejuvenation of skin tissue, helping to minimize dimples. Make a potent anti-cellulite oil blend by combining 10 drops juniper berry oil with 5 drops each of grapefruit seed oil and carrot seed oil. Add the essential oils to a hot bath and soak for 15 to 20 minutes. Rosemary oil, like many essential oils, is more effective in treating the appearance of cellulite rather than the underlying causes. Rosemary oil tones and firms skin, minimizing the appearance of dimpled skin. This oil also directly supports the lymphatic system to eliminate toxins and fats. The reduction of toxins and free radicals helps to prevent wrinkles that make cellulite worse. Rosemary oil also contains high concentrations of B vitamins that promote healthy, smooth skin. Scrubbing and dry brushing skin can help to reduce the appearance of cellulite by stimulating blood circulation. Scrubbing also opens up pores, allowing them to better absorb essential oils. Body brushing helps to break up fatty deposits and exfoliates skin. When selecting a body brush, opt for one that has natural bristles rather than synthetic bristles. Combine 5 drops of rosemary oil with 1 teaspoon carrier oil such as almond oil. Apply directly to cellulite and rub using a dry brush. Alternatively, you can make a body scrub. Mix half a cup of raw sugar with a half-cup of carrier oil and 2 tablespoons of coffee. Add 10 drops rosemary oil and blend well. Apply directly to skin using a massaging motion and moderate pressure. Cedarwood essential oil is extracted from the wood, roots, and foliage of a variety of conifer trees. Ancient Sumerians and Egyptians used the oil to treat skin wounds and in the embalming process. It has a woodsy aroma and boast antibacterial and skin rejuvenating properties. Cedarwood oil is another essential oil that has astringent properties that help to improve circulation and reduce fat deposits. The astringent nature of this oil helps to tighten skin and reduce the look of cellulite. This oil is packed with antioxidants that help to flush out toxins that can worsen skin conditions. Cedarwood oil also helps to reduce water retention, which can make cellulite look even worse. Cedarwood oil helps to eliminate dead tissue that can build up underneath the skin and result in a bumpy appearance. This oil is an effective diuretic and helps to trigger the intestines to burn fat. Add 5 ounces of yogurt and 15 drops of cedarwood essential oil to a medium sized bowl. Blend one large banana, the juice of one lemon, 2 tablespoons of honey, and 2 egg whites in a blender. Transfer the ingredients in the blender to the bowl. Mix well and store in a large glass container in the fridge. Apply twice per day, leave on for 15 minutes and rinse well. Cypress essential oil works as an astringent to firm skin and eliminate toxins. This oil also improves circulation, preventing the formation of cellulite. Cypress oil consist of more than 50% a-pinene. Similar to juniper berry oil, it helps to rejuvenate and replenish skin tissue, minimizing the look of cellulite. Cypress oil is also effective in treating skin pathogens that can cause rash and irritation. Cypress oil helps to reduce cellulite by strengthening blood vessels and improving circulation. By constricting blood vessels, cypress oil tightens and firms skin. This oil also reduces water retention that can cause cellulite to be more noticeable. Combine 6 drops of cypress essential oil with 1 teaspoon of coconut or jojoba oil. Rub into areas with cellulite twice per day. Excess fluid retention can make cellulite look worse by increasing inflammation. Fennel essential oil has powerful anti-inflammatory properties that reduce inflammation and tighten skin. Fennel also contains concentrations of limonene that range from 18 to 25 percent. Limonene has been credited with repairing damaged tissue and skin. A study published in 2014 found that limonene had healing effects in the skin barrier. It was shown to reduce the appearance of scars and promote tissue regeneration. While studies combining fennel and cellulite are rare, the compounds in fennel oil show promise in treating cellulite on a cellular level. The scent of fennel oil is described as slightly spacy with earthy notes. It is similar to anise and black licorice with a sweet finish. The aroma of fennel is energizing and helps to promote confidence and motivation. This oil is particularly effective in treating the depression and feelings of low confidence associated with cellulite. Combine 5 drops fennel oil with 1 teaspoon carrier oil such as avocado oil. Massage into cellulite using moderate pressure for 5 minutes. Inhale the fragrance of the fennel oil to combat any feelings of frustration. Do twice per day for the best results. Geranium oil is a potent skin protector that is present in many cosmetics and skin care products. Geranium oil has anti-inflammatory properties that help to reduce the appearance of cellulite and other skin conditions. The astringent properties of geranium oil help to prevent wrinkling and sagging of skin that exacerbates the look of cellulite. This oil also directly targets one of the main causes of cellulite—hormone imbalances. The body produces hormones called catecholamines during times of heightened stress and agitation. The scent of geranium oil helps to inhibit the production of these hormones. Geranium oil essentially balances hormones, helping to prevent chemical changes that can cause fat buildup and lead to cellulite. Most spas use geranium oil in combination with carrier oil in body wraps to reduce cellulite. You can make your own geranium body wraps at home. Combine 6 drops of geranium essential oil with 1 tablespoon each of avocado oil and aloe vera in a medium bowl. Mix well and add 7 drops each of frankincense oil and cedarwood oil. Add 1 cup of green or brown clay and blend together. Apply the paste to cellulite-affected skin and wrap with a microfiber towel. Leave on for 20 minutes before rinsing. Essential oils can be used in place of anti-cellulite creams with similar results. These oils aren't necessarily a cure for cellulite, but can help improve the appearance of skin. Cellulite is a stubborn skin condition that requires diligence and patience in order to see improvement. There are multiple factors that may cause the condition. This means that a cellulite treatment that works for one person may not work for another. Try several of these essential oils and make sure to combine them with a healthy diet and plenty of exercise. Use these essential oils daily and consistently for the best results.